I have some good news and bad news today. The bad news is that the paper maps that were being handed out at CES yesterday were terribly inaccurate, but the good news is this lead me to stumble upon a "wearables" zone where I found a half dozen different companies showing off their new tech. Wearable devices like Google Glass and smartwatches are a hot topic this year at CES, so you can image how many companies brought their prototypes, reference designs, and hopes and dreams to the show. 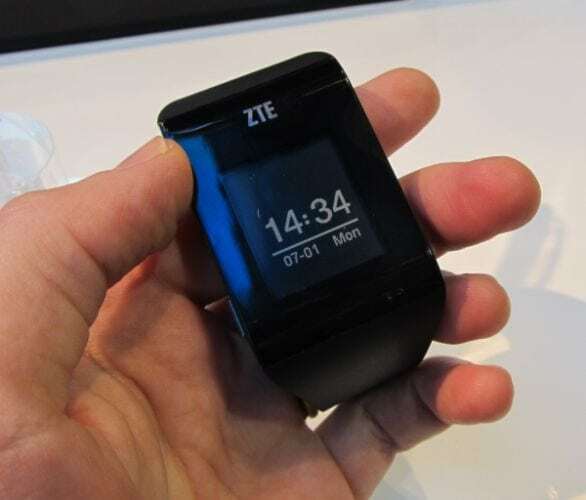 I don't think I found them all, but I did find quite a few including a watch from ZTE (found by Brad Linder of Liliputing), a couple dumb watches that have E-ink screens, and smartwatches that offer a more diverse range of features than can be imagined. Not all of the devices pictured below are technically smartwatches, and it might surprise you to learn that some of the watches with E-ink screens aren't smart. What's even more interesting is that some of the smartwatches don't have screens. Some of the watches with an ordinary watchface can receive notifications from a smartphone and either flash a symbol or light up. Does that make them smart? Maybe not, but they do serve a similar purpose to a "true" smartwatch. Until the product category is better defined I think they should be included. The gallery of photos above include watches from the following companies. Unfortunately I cannot embed the links in the gallery of images, so instead I have to post the links in a separate list. Click the links for more information. And last but not least, the final smartwatch from CES 2014 is a development kit from E--ink. They'll sell you a curved screen unit similar to the one used on the Sonostar and let you build something from it. And to make things even more interesting, I haven't even mentioned the dozen other wearable devices I saw for the first time at CES 2014. Most, but not all, are exercise accessories. 2014 is going to be a very interesting year if all of these gadgets hit the market, don't you think? “connected watch” for the dumber watches?